A new BMW X3 could be the perfect vehicle to suit your active San Diego area lifestyle. This versatile, performance-minded crossover SUV is loaded with premium features, and, as the experts at Kelley Blue Book say “The 2019 BMW X3 is one of the coolest kids in one of the coolest classes among cars: the compact-luxury-SUV segment.” See how the X3 compares to the Audi Q5, then contact us to schedule a test drive at BMW of Escondido today! 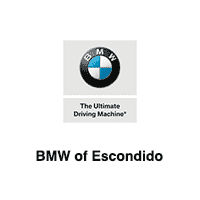 Why Buy a New BMW X3 at BMW of Escondido? As a premier BMW dealer serving drivers from San Marcos, Poway, and beyond, our top priority is to provide you with a rewarding dealership experience. Whether you’re shopping for an exciting new BMW, or are interested in one of our affordable used or certified pre-owned vehicles, you’ll receive the first rate customer service you deserve. Make sure to check out our current BMW X3 lease deals, or explore all of our new vehicle specials, before visiting our showroom near Poway. You can use our convenient online tools to calculate your payment, value your trade, and apply for financing, and if you have any questions please feel free to call us at (760) 745-3000.